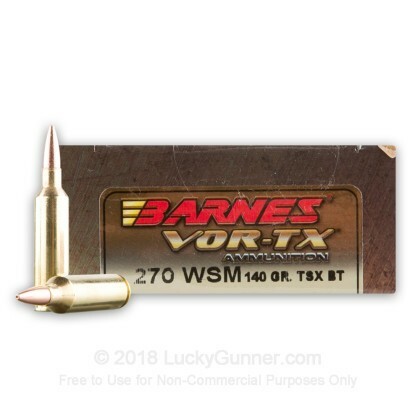 Barnes has loaded their top selling hunting bullet into this premium 270 WSM cartridge. The TSX BT is designed to be one of the most lethal and reliable hunting bullets on the market. The tapered boat tail aids the accuracy of the bullet making it perfect for long range shots, and its signature four petal expansion pattern causes devastating wound paths for the most humane and efficient kills possible. Each 270 WSM is loaded in a non-corrosive, Boxer-primed brass casing that is reloadable. 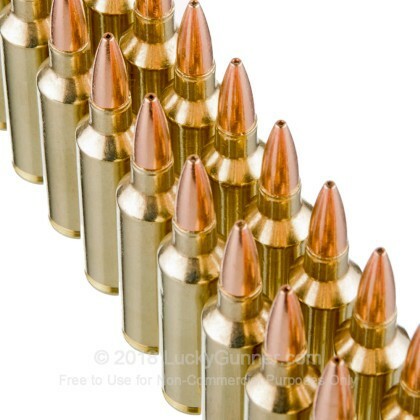 These bullets leave the barrel at a stunning 3135 fps, and will bring your prey down with superb knockdown power. 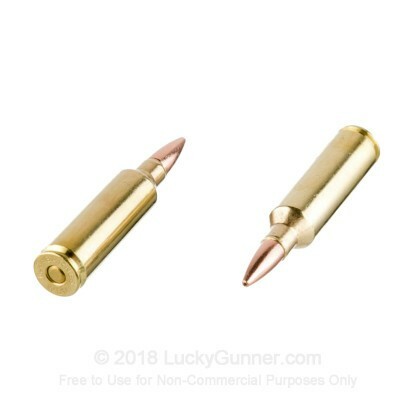 Another great feature about the Barnes TSX bullet is it is made with 100% copper which translates to zero lead fouling and a cleaner shooting experience. Barnes has been a trailblazer the ammunition market for decades, and their continued devotion to innovation and improvement makes them a go-to supplier for many hunters. 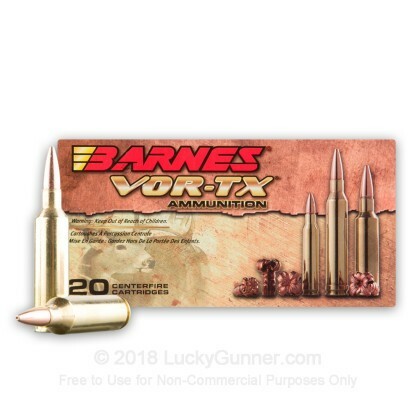 Make sure you have Barnes ammo that wont let you down, and pick up 20 rounds of this 270 WSM ammo today! 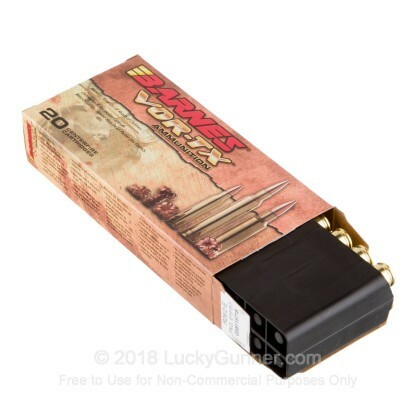 We don't have any reviews yet for this particular .270 Winchester Short Magnum ammo from Barnes. 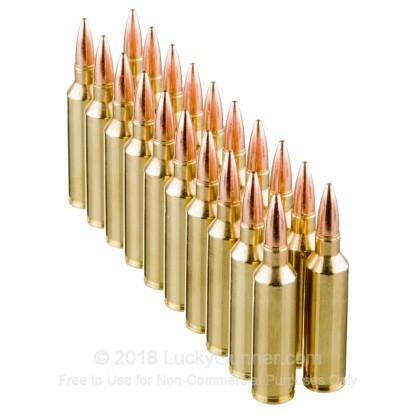 If you'd like to be the first to review this particular .270 Winchester Short Magnum ammo from Barnes, fill out the form below.